I first became aware of Russ LaChapelle through his posts on the Snowjournal forum under the screen name “ThatNYguy.” In addition to his extensive nuts-and-bolts knowledge and outspoken opinions about New York’s rich ski history, I liked how he conveyed the emotions behind his passion for Empire State skiing. In 2002, Russ launched “Skiing History in New York” — a website designed to tell the stories of the state’s lift-served ski hills and mountains, both those still in operation as well as the many that had closed. But what really fascinated me were Russ’s ongoing reports about the rise and fall of Bearpen Mountain, a ski area in the western Catskills that closed 50 years ago, and his efforts to make it accessible to skiers once again. Following is a discussion that details one man’s views of the changing landscape of NYS skiing from the late 1960s to the present. Where did you start skiing? I grew up in in Liverpool, a Central New York town outside Syracuse. I first began skiing at a neighborhood hill when I was eight years old. My first experience with a lift came at Drumlins, a well-known golf course that had operated a rope tow on a hill with 110 vertical feet during the winter months since 1939. On January 1, 1966, I went with a friend and his family and experienced my first t-bar at Song Mountain, located just off Route 81. The following year, two new places opened. I first skied at Ironwood Ridge, which had a t-bar servicing a 500-foot drop that was very steep compared to other hills in the area. Quickly becoming tired of t-bars, we twisted our parents’ arms to ski the other new hill, called Intermont. Located south of Song Mountain and east of Cortland, we convinced one of our fathers to drive us down in the morning, and then another father would pick us up in the afternoon. What really intrigued me about Intermont was that it was built “upside down,” with its lodge and parking lot on top. You would ski its 750 vertical feet first. Intermont’s terrain was diverse and it had a chairlift. We loved that place, and often skied it by ourselves all night long. I also had friends with a place near Snow Ridge, so I skied there on some weekends. Back then, there used to be absolutely ridiculous amounts of snow up on the Tug Hill. Eventually, I skied all of the Central New York ski hills at least once. I grew up 15 minutes from you in the western suburbs of Syracuse near a tiny area that’s listed on your website: East Hill. Yeah, I remember that. It’s next to an elementary school, right? Yes. I’m also familiar with another lost CNY hill on your site that’s just off Route 81: Anderlan? Anderlan, it’s about 250 vertical feet, halfway between Cortland and Song Mountain. There’s a little ice cream stand in front of it, and the t-bar is still there to this day. That’s one of the fascinating things about lost ski areas in New York State — they didn’t necessarily have to offer 1,000 or 2,000 feet of vertical. Exactly. In those days, hotels and motels used to put a rope tow behind the main building as an attraction: an amenity for the people who stayed there. That’s why the term “ski area” or “ski center” is often a bit of a misnomer. Many of them weren’t there only to provide skiing. That concept came along later. I prefer to call most of them “places to ski.” When does a “place to ski” become a “ski area?” For example, Drumlins isn’t the same thing as Hunter Mountain. You have to consider each place’s historical context. When you look back at your childhood as a CNY skier, what do you remember most? What attracted me to skiing was always the social aspect. When I used to go to Song Mountain or Intermont as a kid, what I remember most is that all the people were happy! There wasn’t this “get out of my way” attitude that you see these days. Everybody was genuinely helpful. If you fell, people would slow down to make sure that you were all right, and I was moved by that. Even at a very small hill like Drumlins, it was a place where people came to congregate, like a bowling alley, and you became part of this happy little network of people. In high school, you moved to the Albany area and had the opportunity to ski bigger mountains. Which ones? Yes, we moved to Latham, NY and during high school, our ski club went to mountains like Brodie, Jiminy, Bromley, Haystack, West, and Pico. Other times, I’d tag along with friends and ski at Stowe, Smugglers Notch when it was called Madonna Mountain, and Mad River, which I just loved. To me, that was real skiing. There used to be a bus that’d take us to Willard Mountain; we’d stay the whole day, then come back on the bus that night. We also went to Easton Valley and Homestead near Rotterdam. In the Catskills, I went to Hunter, Plattekill, Scotch Valley, and Belleayre back in the old days when it was in really bad shape. I was introduced to Gore when it had the red gondola, the slow double chair above Showcase, and the lifts were all Hall chairs that always seemed to be breaking down. 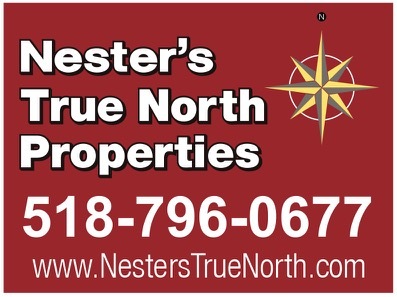 When did the concept of “lost ski areas” become apparent to you? As a kid, we used to get the Eastern Ski Map at ski shops, and then, in 1967, my father bought me the Ski Atlas, which had photos of all these places, so we started thinking, “let’s go visit this one or that one,” only to find out that many weren’t in operation anymore. It was intriguing to learn why they had closed, and I started filling in the blanks: liability insurance, building insurance, the gas crisis that came later. Basically, the big places got bigger and the small places started dying off. Also, the three state-run areas killed off many privately-run hills, at least in the Catskills and Adirondacks. The state mountains offered nurseries and other elements designed to draw people, along with lift tickets that were cheaper, which took away any incentive for the smaller private areas to offer skiing. This wasn’t the exception to the rule; this was the rule. But wasn’t Belleayre there before the other ski hills in the Catskills? That’s not true. 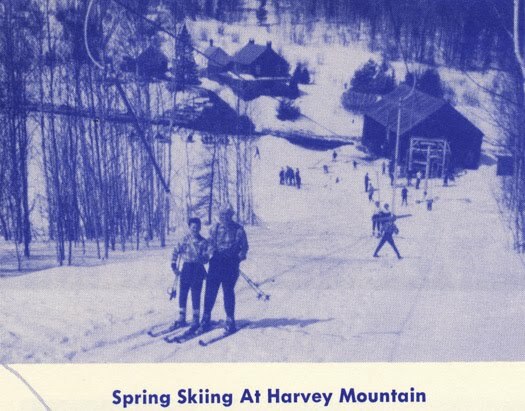 Simpson’s in Phoenicia was actually the very first place in New York State to offer “lift-assisted” skiing, in 1936. It eventually had 440 vertical feet with four rope tows and was serviced by a ski train that brought people to the base of the slope. But after World War II, the state decided that it was going to try to boost the economy in the Catskills itself, instead of allowing the smaller private entities to do it. By 1949, you had Belleayre offering 1,200 vertical feet with a taxpayer-financed chairlift, and many smaller hills couldn’t compete. You’re openly critical of ski areas being run by the state. If you had your way (and changing the state constitution weren’t an issue), what would you do with Whiteface, Gore, and Belleayre? I definitely think that Belleayre should be leased to a private operator, which would help provide money to incorporate Highmount, and that would benefit the ski area enormously. Even though Belleayre isn’t my personal cup of tea, all that green terrain below the mid-mountain lodge (that’s completely separate from the rest of the hill) is great for beginners. I honestly have no idea what to do with Gore. It’s become so big and convoluted. When I went to Gore in the old days, our church group would sometimes get there late, and the only parking was way down the road. So we went to North Creek Ski Bowl, which had 1,000 feet of vertical, and we had fun there. But now, you can’t connect from one side to the other without a walk, which is a major-league problem. To this day, I’m not a fan of Gore. In my opinion, it was built the wrong way. They should have come down where the quarry was, and into the Harvey Mountain area. That would have been better, because nothing at Gore really hooks up. You’ve always got a flat section. Do you have any idea why it was built that way? I have a theory, and my theory is that New York State has no idea what it’s doing. The only one of the three ski areas they got somewhat right was Whiteface, and that was after they wasted millions developing the Marble Mountain side, only to later abandon it. Whiteface today is a fantastic ski area; however, I usually wait until early April to ski there because the weather is too unpredictable. They’ve continued to improve it, and when they get snowmaking on all of Lookout Mountain, it’ll really be great. But once again, to get Whiteface to where it is today took a lot of unnecessary expense and effort. Marble Mountain was first created on the northwest side of Whiteface with 865 vertical feet, and with snowcat service on the Memorial Highway, you’re talking more than 2,800 vertical feet. Unfortunately, it had problems holding snow, then the lodge burned down, which they rebuilt for a million dollars. Then they decided that they were going to move the ski area to the other side. Ultimately, the state did the right thing, but they spent a ton of money at the wrong time. 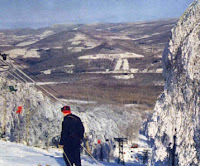 What were the reasons for so many New York ski hills dying off, beginning about 35 years ago? There were several reasons, but a big one, in my opinion, was the gas shortage in the mid-70s. During my college years, it really impacted life as a skier. In two years, I went skiing, no joke, maybe eight times. It wasn’t like a couple years ago when gas shot up to four dollars a gallon, yet there was still a big supply. Back then, they put the fear of god into us that we were literally running out of oil. While waiting in line for gas, I would sit in my car for hours at a time doing my homework! It was a really big challenge for ski hills because most of their lifts were driven by gas or diesel. So when gas went through the roof in 1976 or 77, most of the lifts started going electric. T-bars back then cost about $40,000 and chairlifts were about $100,000, and that’s when you started seeing a lot of the smaller businesses realizing that they couldn’t continue. Didn’t skyrocketing insurance costs also play a big role? Yes, that was another important transformation. I still remember when, at Willard Mountain in its early years, a cable came out of a sheath and took some guy’s arm off. So in addition to the gas shortage and the inability of many hills to pay for new lifts, everyone became very concerned about liability, which led to huge insurance increases, and once again the little guys had no way to afford those additional costs. Add to that bad snow years, land disputes, and the state-owned ski areas that I talked about earlier, and those were the major reasons for the disappearance of so many places to ski in New York. Is there a lost ski hill whose closing really sticks in your craw? For me, that would have to be Intermont. For a Central New York ski hill, it had everything going for it: 750 feet of vertical (which was decent for the region), an interesting design, night skiing, and a good location. It was a great alternative to Greek Peak, whose vertical in reality wasn’t much more than Intermont’s. But in 1966, just before it opened, an epic blizzard buried the entire region under many feet of snow, which convinced the owners of Intermont that snowmaking wasn’t necessary. As luck would have it, the next two winters had really bad thaws. Finally, in time for the third season, they invested in snowmaking equipment, but one night, the guy who was in charge had been drinking and passed out, and the lines became frozen, which ruined the entire system. Intermont survived for a few more years, but the owners eventually got tired of the losses, and sold it to a local, who turned it into his own private club, and now it’s abandoned. How did you start your website: Skiing History In New York? The concept was to blend lost and operating New York ski hills onto one site, but between my job and the fact that I was very busy trying to bring Bearpen Mountain back to life, I didn’t have time to write stories for the piles of information I had gathered. Eventually, Joshua Segal took over and has added more listings. While the two of us sometimes discuss potential additions, the website is on his server. 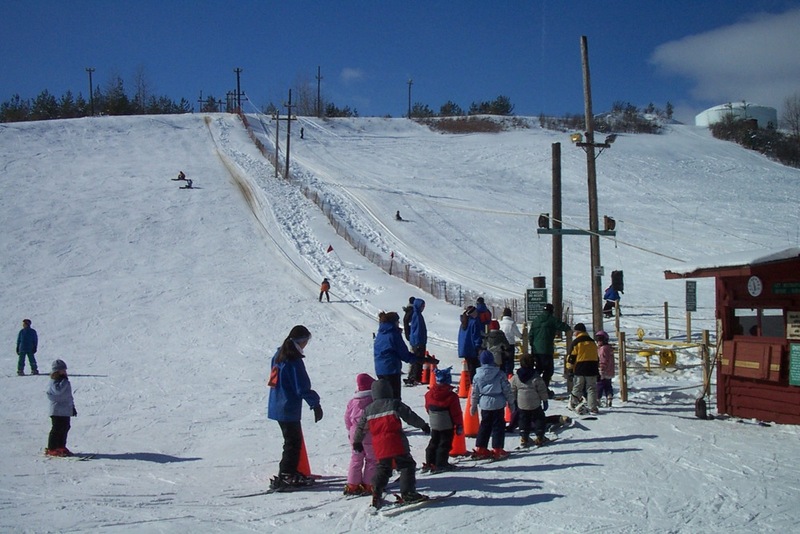 How did you first learn about Bearpen Mountain? When I was a kid in the 1960s paging through old ski magazines, they sometimes mentioned a place in the Catskills called Princeton Ski Bowl. My first reaction was “that’s a funny name for a place to ski,” because I didn’t understand why it would be named after a university 3.5 hours to the south. 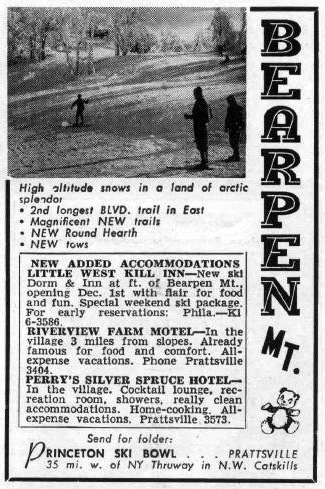 Years later, in the late 90s, when I started investigating some of the lost Catskill ski hills, people kept asking me if I knew about this place called Bearpen. Many mentioned how important that ski operation was, and how several ski areas in the region came about because of what happened on that mountain. Everyone kept talking about Bearpen in almost reverential tones, like it was “the one that got away,” but no one really explained why it closed. Only after I visited the mountain did I understand what all the fuss was about. Bearpen had all of the requirements for a first-rate ski area: a northeast exposure, a straight fall-line vertical drop of 1,900 feet with a total drop of 2,100 feet. Its location on the western Catskills put it in a naturally advantageous position to grab snow, averaging about 200 inches annually. It also had two huge terrain “scoops” that caused snow to rise up the mountain and drop back on the trails. Finally, Bearpen was on a massive ridge that stretched for 4.5 miles. There were hundreds and hundreds of acres of fantastic terrain that could have been developed for skiing, and that didn’t even include the satellite peaks of Vly and Roundtop Mountains. Bearpen could have become the biggest ski area east of the Rockies, and would have changed the history of the ski industry throughout the entire northeast. Unfortunately, like many things in life, the good die young. Bearpen closed after its fifth season of operation. But this mountain’s story needs to be heard, and that’s why I keep advocating for it. Wow…just wow. An incredible interview James, thank you for taking the time and effort to make it happen. That Anderlan T-bar still fires up. One of my ski buddies is friends with one of the family that owns that property. We’ve had some conversations over beers with him about relocating it to somewhere more useful. Is he related to Dolores LaChapelle at all? (the author of Deep Powder Snow http://www.wildsnow.com/tips/booklist/book_review_lachapelle.html) And, wow, he’s got to freshen up that web site's design. A little old school, I’d say. That last picture in the trees at Bearpen is SWEET. A foot or two tamping don the undergrowth, and that looks like some noice stuff! I really enjoyed this interview. I am curious about Anderlan, and tempted to drive over and take a looksie. From Google Earth you can see the trail network still in place. I presume it is private land, and I suspect skiing it would be trespassing. Anyone know who the current land-owner is? I’m sure right now it is someone’s huntin land, so I wouldn’t go walking/skiing on it. Bet it has snow on it now. You must mean Intermont as Anderlan is not worth bothering with. Yup…Intermont…got confused that with the one near Preble. I’ve seen what’s left of Anderlan. Def not worth it. Is there a chance something could be done at Bearpen now? I really liked this interview. So interesting to learn about places that I/ve driven by, but had no idea about. I’m also looking forward to the Bearpen Mountain article. I’ve been to the Catskills 100s of times and never heard of it! Benny: Russ started building his website ten years ago, I believe, and that interface was what was available back then. As mentioned in the interview, after going live with it, he didn’t have time to finish the majority of the stories or do any updates. I think it’s pretty funny the way the site is built like a maze and has all these goofy, outdated visual elements; kinda like going down Alice’s rabbit hole. He hasn’t added anything to it in many years, and it’s now hosted by someone else. Kyle: stayed tuned as Russ will address all Bearpen-related questions in the upcoming magazine article. As a NY ski history buff, I found this to be a great piece! I enjoy ThatNYGuy’s comments on SnowJournal, and this really gave me some perspective on where he comes from. I disagree completely with his assessment of Gore, however: too big and spread out? I guess you could say the same thing of Whistler/Blackcomb or Vail. I always loved Gore because it was a convoluted mess, requiring walking and skating to get from one pod to another. But I agree with his take on Belle: great long runs for beginners, but the advanced trails are short and all looked the same to me. Tell me if I am wrong. Whiteface: Agree. Skied it twice, Iceface and Windface both times. I know, it has changed since I was there 20 years ago, will always prefer Gore. He talks a lot about the 70s gas crisis keeping people home and killing NY ski areas. Then why didn’t that hurt Vermont? Kmart, Sugarbush, Stratton, Okemo, Mt Snow all saw growth in the 70s, at the same time NY privately owned mountains were shutting down. Personally, I think it might have more to do with the Catskill and Adirondack Parks keeping ski town growth to a minimum. You couldn’t build a Killington or Mt Snow access road in NY park land. People wanted ski towns, with condos, hotels, pizza joints, and a place to build a home on an access road. To me, an equally big loss to Bearpen was Dutchess, down in the Hudson Valley where I spent my earliest ski years. That place had 1,000 foot vertical and was right of the Thruway and Taconic, for chrissake. And it had tremendous room to expand. But overall, great perspective, ThatNYGuy! 70’s Gore Kid brought up a good point on why in NY and not VT. I remember the car line in the late 70s on my only trip to Florida. The province of Quebec saw a number of hills going under in the late 70s-early 80s timeframe. One main reason behind this was bad snow years. Artificial snow wasn’t wide spread, most small hills didn’t have it and those years took their toll and pulled a few under. The number of ski areas in Vermont isn’t that big and generally gets more snow than Quebec. Vermont is also at crossroad in the MTL-Boston-NYC triangle. Yeah, 70’s Gore Kid makes sense. Most “skiers” want bars and spas, too. And, his criticism of Gore makes me want to think he’s a snowboarder, most of whom I tell to shy away from the place with all of that walking, but, of course, he probably isn’t. 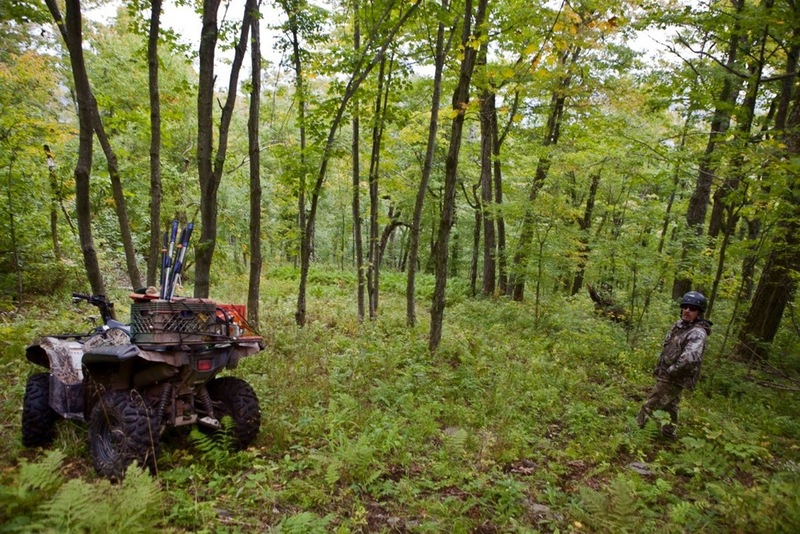 More likely he isn’t a tree skier – Gore has the finest lift served trees in NY state. Great interview. Bearpen is fascinating. Is there the topography for a no-schlepp way down off the top? You got what? Roaring Brook, Raymond Brook, or Straight Brook that you are gonna funnel into eventually. I don’t think it is there. I call it The Gore Mountain Shuffle. It’s a dance required to get to/from the good skiing at Gore. You get used to it after a while. After skiing at Alta, The Gore Mountain Shuffle is nuthin. I ski with a number of snowboarders, and it can be tough for them, especially on a powder day. But we don’t mind giving them a push or a pull once in a while. Weeds out the weenies…and the kids just stay in the terrain park all day. Mother nature has no interest in people at bearpen. Bear’s attack, porcupines fire freely at intruders, and the hunters need automatic weapons like Jurassic Park. No one should go over there without a capable guide like Russ. NY has a fascinating ski history. If anyone has a copy of Ski Atlas to share, please contact me — we’d love to publish images from it. James and Russ, really nice work. I know from experience that it’s not easy to take this much information and make it manageable. And I can’t wait to learn about the path forward Russ envisions for Bearpen. Great article/post… love the website, love the continue button, thanks for sharing. As another central New Yorker, I enjoyed reading about your CNY skiing memories. I grew up a mile from Song Mountain, but I didn’t start skiing until I was a teenager because my parents always told us we couldn’t go skiing until we were old enough to pay for our own broken bones (which we never did break). We Skied at both Labrador Mt and Song Mt, but one of my most memorable experiences was at Anderlan. A bunch of teenagers got together one very cold February evening and went inner tubing at Anderlan. A tow rope carried us to the top as we anticipated the thrilling ride back down on our tubes. It didn’t matter that it was 10 degrees out, we were having fun! Anderlan closed shortly after that and I never got to go again. I do patronize their ice cream stand that took its place though. Now I live 3 miles from Song Mt and I’m a season pass holder there. I like it there because there are seldom any lines and you can get a lot of skiing in. Thanks, SongGirl. I would love to see some pics of Anderlan while it was in operation. That stretch of 281, from Little York to Homer, has a handful of independent ice cream joints. James, Unfortunately I don’t have any pictures of Anderland in operation. Enjoyed reading this blog immensely! Looking forward to the Bearpen article! I know the people personally who used to run Anderland, there names are the Andersen Family which used to operate the Farm Market in front of Anderland….They closed it down due to insurance regulations ect…It got too costly to operate due to this….On the topic of Intermont SkiLodge, my uncle used to work for the guy who bought the place from the Intermont owners, and his name was Capt. Day Jones and he re-named the place Calidu Sports, named after the first two letters of each of his kids names…Ca–Cathy,Li- Lisa , Du –Duane….Calidu….Capt. passed away sometime ago due to a lung ailment from what I heard and the place was lost completely to a fire back in the 90’s….It sits now completely abandoned and this is tragic as it used to be a really nice place….I hope this helps you on the history of both places, and all of what I have stated here is factual as I know both families of the former resorts…. I live in McGraw and remember only a little about Intermont Ski resort. I didn’t ski during its years of operation. I would like to know if anyone has pictures of Intermont during it’s operation? I am writing about ” Anderlan ” in Little York. I am related to the Anderson Family who operated Anderlan. It was started by my two uncles and grandfather on their farm.. At first in the early 60’s when it opened there were two rope tows. One for sliding and one for skiers. The sliding consisted of saucers, tobbogans, but the big hit was huge tractor tire tubes which held several people. It operated a few nights during the week and many kids with limited spending money certainly enjoyed the sliding. I grew up in Little York and now look back at those years as a wonderful place live in your younger years. We had the farm, grew all kinds of vegetables, the lake across the street, and eventually the ski area. How lucky for my cousins and me who all lived very close to each other. Anderlan eventually closed due to escalating insurance costs and frivolous lawsuits. Today, the rope tows have disappeared and a few poles are still present where the t-bar was installed. Fond memories though can never be erased. After a year of reflecting since our “hike” up Bearpen with ALL the “stars” of these interviews ( Russ L, James M, Dr Ben and Ken Lane, Jeremy ie Nelsap) I wanted to comment on a once in a lifetime day spent with these gentlemen. It was because of James intriguing writing style that I wanted to gather together to visit and relive the 60year old lost ” original beast of the east”. to spend a day with. These young men in their twenties at the time started up Princeton Ski Bowl on Bearpen mountain and if things went according to their vision the history of Catskill skiing would have possibly changed the ski world as we know it. They had met with Jean Pomagalski, Victor Hall, reps from Sun Valley amongst others to grow this rope tow area into a full fledged resort. Capturing the intrigue Russ felt and meeting James who portrayed that intrigue in words was most exhilarating , to hear first hand by Dr Lane of his contacts with the Slutsky’s and having dinner with them overlooking Hunter mountain( not James) was as James said ” was like living a Hollywood dream”. I would encourage anyone with a snowmobile( or avid hiker) to get to Bearpen and ski ” Russ’s trail” and relive what could have been! If Bruce German, Romeo S, and Percy G had all been on the same page with the Lanes could you imagine the combined No Name and Princeton ski bowl fully endowed with high speed lifts, snowmaking, and what not?